This week, one of these two teams beat Juventus, and the other team fell to Juventus. Unfortunately, Milan were the latter, even if we put up a good fight. Also unfortunately, Sampdoria are the former, making Sunday’s contest that much tougher for us. Since we last met, Ciro Ferrara was sacked, and Sampdoria brought in Delio Rossi. He is a good coach, make no mistake, but sadly, he is now known as the manager who attacked his own player while at Fiorentina last season. While anyone who knows anything about Adem Ljajic would say he had it coming, Rossi was swiftly sacked and thus wound up available to coach Sampdoria this season. Sampdoria are currently 14th in the table on 20 points, while Milan are in 7th with 30 points. Their upset over league leaders Juventus last weekend broke a three game losing streak for them, so I would expect their confidence to be pretty high. 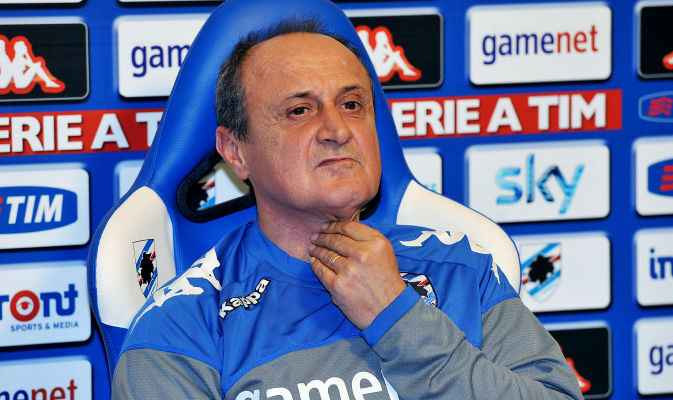 Delio Rossi will be missing a few players to injury and suspension, including Berardi, Soriano, Costa, Pozzi, Maresca, and poor Maxi Lopez. Maxi Lopez is due back from injury soon after having been out for a couple of months, it’s a shame he won’t get a chance to wreak some havoc on our Milan defense. But then again, it’s our turn for payback, so it’s just as well for us. The underdogs who beat Juventus while playing on 10 men for 60 minutes were a 3-5-2: Romero; Palombo, Costa, Gastaldello; Poli, Obiang, Krsticic, Estigarribia, Berardi; Icardi, and Eder. Icardi scored both goals against Juve, he’ll be one to watch out for. Berardi is definitely suspended, and Costa may or may not be available, so there will definitely be a few changes to Delio Rossi’s lineup when we meet on Sunday. As for Milan, Pazzini is suspended for this match against his former side. Which is just as well, because everyone knows Allegri doesn’t like to play people against their ex-teams. We are also still missing Yepes and Bonera, as well as De Jong and Didac Vila to their long term injuries. However, both Robinho and Zapata were back in training yesterday and could be available on Sunday evening. It is difficult to predict who Allegri will lineup otherwise. After Amelia’s great performance on Wednesday, does Abbiati still get the nod? 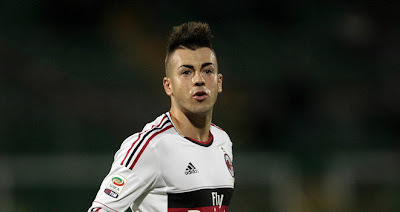 Will Boateng feature again? If so, at what position? After his “surprise” two hour meeting with management yesterday, will Allegri be hurt by his protegé’s demands and finally bench him? Will Bojan get the start now that Pazzini is not available? 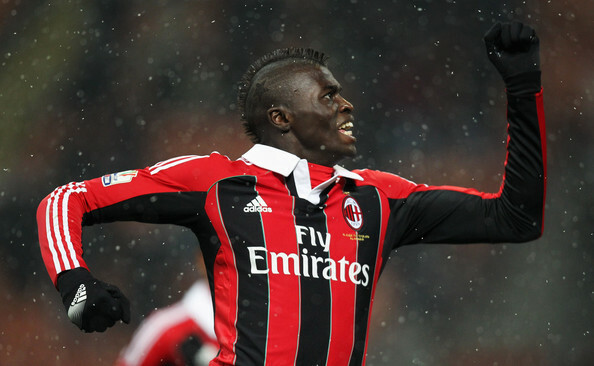 Or will Niang finally get a start after performing well on Wednesday? Will Robinho start, or will he be saved as a sub? I wish I had the answers, but I’m not sure even Allegri knows yet. Hey, Allegri, is it the future yet? I wanna see Niang. This game will be no walk in the park. The Marassi is a cursed stadium that is always difficult for traveling teams to get the win from. Add to that our past three trips there ended up as 2 losses and a draw, the draw being during our Scudetto winning season. So we might actually be considered underdogs in this scenario, just by virtue of where we are playing. But I still want payback. I mean, it wouldn’t be the end of the world drawing or losing to the team that beat Juventus last week. And if Delio Rossi could snap again and punch Allegri in the face, well three points would be a small price to pay to see that! But in all seriousness, three points would be a great way to take advantage of the losses last week of Juve, Inter, Roma, and Fiorentina as we inch our way up the table. But of course, having lost at home to Sampdoria the first game of the season, there is also our pride. To return the favor against i Blucerchiati, or blue-ringed ones, would be the very least we can do. Particularly since it is Yepes’ birthday on Sunday, this would be a great gift for him while he is injured. And after playing so well on Wednesday, our boys have shown us what they’re capable of, so there will be a certain expectation, too. It will be a tough one to win. If they beat Juve and Juve beat us, then it will be an uphill battle for us to climb. But a climb worth all three points, so let’s go to Genoa and come back with all three points. For Yepes. It’s payback time.